This page is part of the fuller description of Ray Rigg's early life and his war time role and experiences , to return to the shorter version click here. He travelled there on HMT Cameronia, a passenger ship operated by the Anchor Line of some 16,365 tons which had been converted to carry up to 3,681 troops; over double its peacetime passenger capacity. After leaving Glasgow and the Clyde with eight other ships on 12 January 1941 and carrying 3,000 troops, she steamed as part of Convoy WS 5B to Freetown in Sierra Leone, West Africa. There she joined other ships of the convoy which had sailed in separate groups from Liverpool and the Bristol Channel. The complete convoy then left Freetown on 29 January and on arrival at South Africa again split with half the ships arriving at Capetown on 8 February. 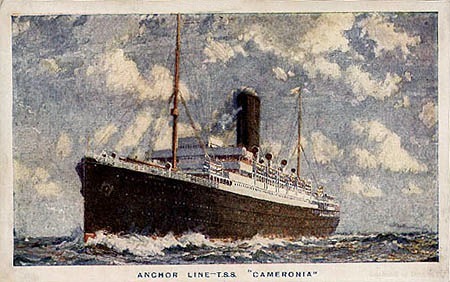 The remaining ships, including the Cameronia continued on to arrive at Durban on the morning of 11 February. 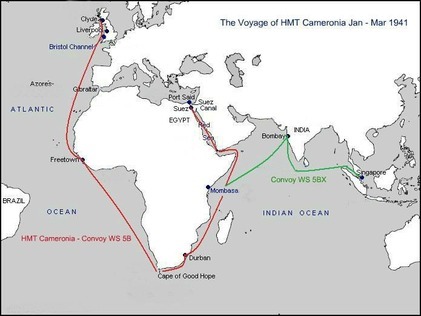 They left Durban on the afternoon of 15 February, and rendezvoused with the Capetown element then sailing northwards up the East of Africa to near Mombasa where a number of ships from the convoy were detached to proceed separately as Convoy WS 5BX to Bombay. Some of those ships then continued on to Singapore. 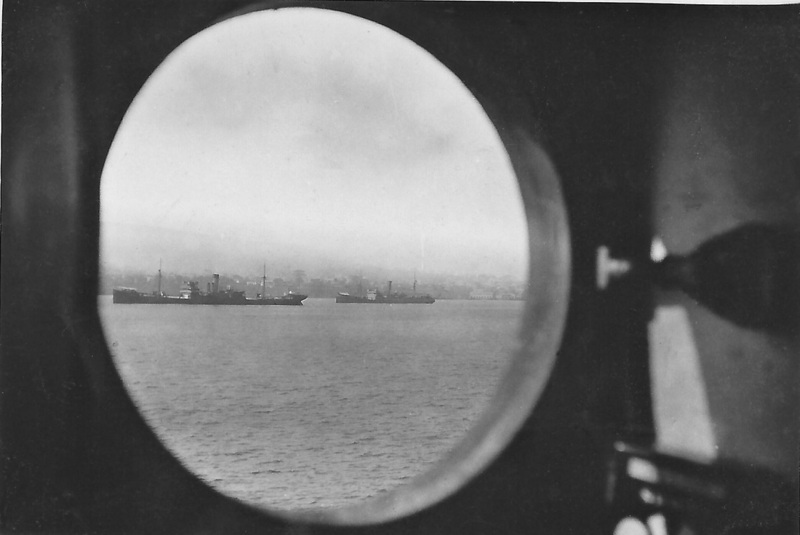 The main convoy, including the Cameronia sailed on and reached its destination at Suez in Egypt on 3 March 1941.